The greatest challenge in eDiscovery is usually explaining what eDiscovery is to a family member or a very technophobic attorney. I have found the best way to describe eDiscovery, Cyber Security and Records Information Management is with the 1982 classic movie TRON. eDiscovery can rightfully confuse attorneys with its complexity. With that said, TRON does an excellent job conveying the basic concepts of electronic discovery. For anyone wondering, there are no characters named “Native File” or “Metadata” in the original film (However, there is a Ram). TRON involves a programmer (a User) named Kevin Flynn who worked at ENCOM. Three years before the film, Flynn created multiple video games, which were stolen by an executive named Ed Dillinger, Sr. Dillinger took credit for the games and rose to the top of senior management of ENCOM. Dillinger wrote the program named Sark and significantly enhanced the Master Control Program. The MCP essentially was a self-aware application and content archiving program with the desire to take over the world (it hacked the Pentagon and Kremlin, boasting it could run the world several thousand times better). The MCP could “appropriate” other programs it found useful, thus making itself stronger. 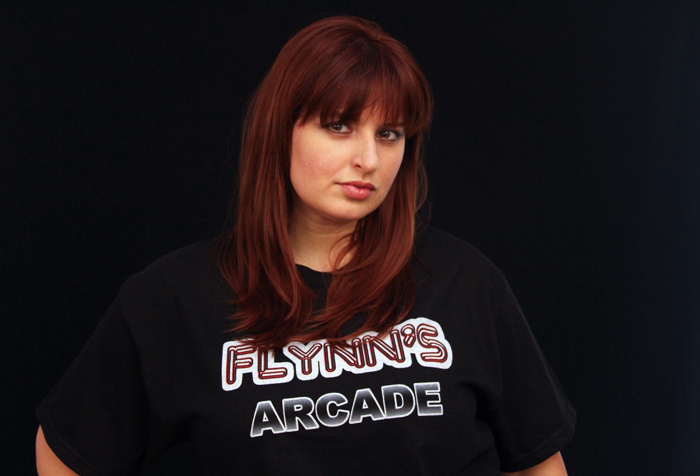 Flynn opened an arcade after Dillinger’s rise to power and Flynn’s termination at ENCOM. Seeking vindication, Flynn tried numerous times to hack into ENCOM’s system to find the video games he created to expose Dillinger as a fraud. Another ENCOM programer, Alan Bradley, created the security program named TRON. To update the 1982 computer terminology, TRON was effectively an independent cyber-security program that monitored ENCOM’s system against other computer systems (the ultimate in cloud-computing security). Think of TRON as the enforcer of the Stored Communication Act, HIPAA, Wire Tap Act and every state privacy law rolled into one highly skilled Navy SEAL Ninja. Dillinger locked Bradley out of the ENCOM system after learning of TRON. This prompted Bradley and Flynn to team up, along with Bradley’s girlfriend (and Flynn’s ex), to hack into the ENCOM system to shut down the MCP and find the files proving Dillinger was a fraud who stole Flynn’s programs. And that is when the MCP digitized Flynn, bringing him into the virtual world. Flynn’s adventure across the Grid focused on three key elements: 1) Survive the Gaming Grid; 2) TRON communicating with “Alan-1” in the real world for instructions on shutting down the MCP (exploring mild Net Neutrality themes, since the Grid was not a “free system”); and 3) destroying the Master Control Program (not forgetting the original goal to find the stolen files). However, this adventure did not involve write-blockers, dongles and early case assessment, but Light Cycles, tanks and disk battles. eDiscovery, in its purest sense, is about finding electronically stored information that supports a party’s claims or defenses. The objective of review in eDiscovery is to identify as many relevant documents as possible, while reviewing as few non-relevant documents as possible. Moore v. Publicis Groupe & Msl Group, 2012 U.S. Dist. LEXIS 23350, at *27 (S.D.N.Y. Feb. 24, 2012) (Emphasis added). In Flynn’s case, that was the video game source code stolen by Dillinger and “archived” (hidden) within the Master Control Program (providing the Records Information Management and computer forensics aspect of the story). Sadly, document review in eDiscovery does not have Light Cycles, disk battles or glow in the dark outfits (many attorneys and paralegals agree all of which would dramatically enhance document review). Document review does have computers with attorneys sitting in front of them, clicking boxes such as “Relevant” or “Attorney-Client Privilege.” While this is definitely not like flying a Recognizer in the search of relevant ESI, that essentially is the goal of document review: Find the data that proves your case. Serious gamers do not play video games by randomly hitting buttons. That is a sure fire way to crash a Light Cycle or for Q*bert to jump off the cube pyramid. No one conducts document review by just hitting buttons in any form of computer-assisted review. Just as in playing a video game, reviewing electronically stored information requires a strategy. It also requires knowing how the controller works. Even though “computer-assisted review” does not involve 8 bit tanks that merge with data streams, attorneys can find electronically stored information with software specifically designed for attorneys to use in reviewing data. For example, attorneys can identify key individuals in a law suit with features such as “visual analytics,” enabling an attorney to see patterns of messages in a data set. There are many other wonderful technologies available to attorneys to truly analyze the data in their law suits, whether it is a cell phone or a Terabyte hard drive. However, this technology is dependent on having the “metadata” in order to make any use of these advanced search features. Simply put, “metadata” is the foundational building blocks of a digital world (or The Grid in the words of Kevin Flynn). Substantive Metadata: Reflects changes made by the user, including prior edits or editorial comments. Embedded Metadata: Embedded metadata consists of “text, numbers, content, data, or other information” that appears in native files with spreadsheet formulas, hidden columns, hyperlinks, references and fields, and database information. System Metadata: Reflects information created by the user or by the organization’s information management system. Aguilar v. Immigration & Customs Enforcement Div., 2008 U.S. Dist. LEXIS 97018, at *13 (Nov. 21, 2008) citing United States District Court for the District of Maryland; Suggested Protocol for Discovery of Electronically Stored. Information 27. Attorneys need embedded and substantive metadata as a matter of right in order for today’s litigation review applications to actually analyze the data. Without this information, reviewing eDiscovery is thrown back to a time when Pong was new. Case management orders that prohibit any metadata without good cause arguably frustrate Federal Rule of Civil Procedure Rule 1’s requirement that cases “are administered to secure the just, speedy, and inexpensive determination of every action and proceeding,” by increasing the cost of document review with additional hours wasted searching for ESI that otherwise would be searchable. Once a database is populated with extracted text and relevant metadata, attorneys are ready to enter the Gaming Grid of reviewing ESI. There are multiple strategies on how to conduct review, but all have the same figurative goal of shutting down a MCP. For example, Plaintiffs reviewing eDiscovery can plan their discovery review to find responsive ESI that supports their cases of action. Virtually all review software has “issue tags” that can be customized for attorneys to “tag” discovery the attorney deems important. Instead of naming an issue tag “Hot,” have it named “Breach of Contract” and the other causes of action within the complaint. Additionally, “Breach of Contract” can have “sub-issues.” These sub-issues can be the elements of the causes of action as defined by the local jury instructions. Defendants reviewing discovery can set-up their litigation support database to identify ESI that supports their defenses. While conducting review for ESI or documents responsive to a specific request, create issue tags at that time for the production requests. For example, “Request for Production 7,” would be RFP007. The three digit number system would allow for easier sorting in a data by discovery request. When ESI is determined to be responsive to a request, code it accordingly with its request code. At the time of production, add that field of information with the other extracted text/metadata fields to be produced. Logging this information can increase organization for both the requesting and producing parties to a lawsuit. Tragically, attorneys and eDiscovery professionals cannot be digitized and enter a computer to find responsive electronically stored information. This would certainly give new meaning to “form of production.” However, using litigation support software with strategic planning can improve document review exponentially compared to reviewing boxes of paper or static images without extracted text. Cyber security is an understated theme of TRON. While the term “hacking” is used in the movie, the use of personal computers and hacking as we understand it today is very different. In TRON, Flynn’s Group 6 password to hack into the ENCOM system is Reindeer Flotilla. Two words that just do not go together, which is one way to form a password. Adding special characters, numbers and at least one capital letter are other commonly used strategies for secure passwords. How is this relevant to attorneys? There are numerous rules and ethics opinions regarding cyber security, cloud computing and other technologies specifically for attorneys. For example, California has California State Bar Professional Responsibility and Conduct Formal Opinion No. 2010-179. Opinion No. 2010-179 addressed whether an attorney violates their duties of confidentiality and competence when transmitting or storing confidential information that might be susceptible to third parties (or in simpler terms, using public WifFi at a coffee shop to send client emails or conduct document review). Opinion No. 2010-179 (See, Espresso, WiFi, & Confidentiality with a Twist of Lemon for a complete discussion of the Opinion on Bow Tie Law). 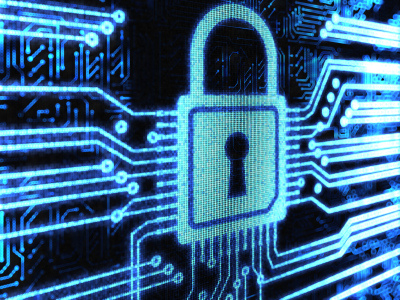 An attorney’s duty of competency and confidentiality are interwoven with cyber-security concerns. Whether an attorney is working from home or behind the firm’s firewall, attorneys must think beyond “reindeer flotilla” in protecting client confidences. TRON is the perfect eDiscovery example. 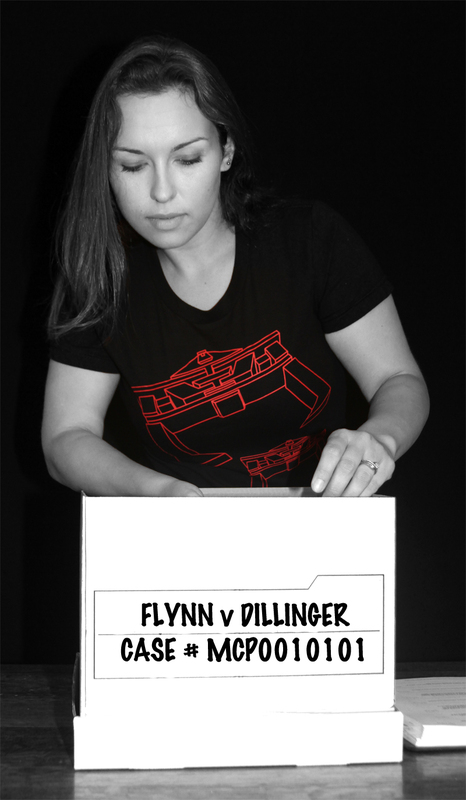 The story’s core involves the search for smoking gun files that showed Dillinger stole Flynn’s video game designs. That essentially is the goal of document review in any lawsuit. While “The Gaming Grid” in eDiscovery is usually the fields of extracted text and metadata in review software, the premise of both the film and eDiscovery is exactly the same: Find the relevant files supporting your claims. However, while glowing outfits might be optional for document review, it is never acceptable courtroom attire.